First of all, I cannot tell you how grateful I am for the wonderful things you all have said about my new book. The response has been amazing and I am overwhelmed. You guys are the absolute best and all of this is possible because of you. So, thanks, from the bottom of my heart. This week has been kind of crazy (and has every intention of continuing to be crazy), with both a photoshoot for a local magazine (look for me in Focus on the Coast this summer!) and two food events to promote No Time to Cook! Let’s just say that I’ve been putting my time management and multitasking skills to good use! 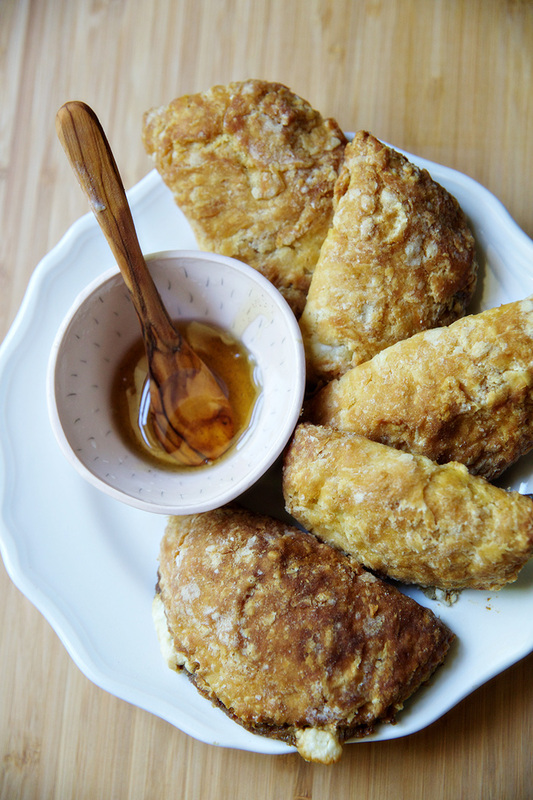 The unofficial food theme of this week is handheld pastries, with both strawberry & honey hand pies on the menu and these sorghum and goat cheese stuffed biscuits. Stuffed biscuits are one of my favorite ways to make biscuits lately, they’re simple and there’s something so incredibly satisfying about having everything compact and easy to carry out the door. I’ve been experimenting with all the different things you can stuff biscuits with and let’s just say- the possibilities are endless! This time in my life feels constantly like I’m just on the precipice of what I can achieve. I’m chasing the dream and I feel like I’m getting closer. It does get exhausting, and some times I forget to stop and look back at how far I’ve actually come. I’ve been trying to take more time lately to appreciate my accomplishments and to feel pride in what I’ve done. It’s been a tremendous amount of work, this blog and these cookbooks and all of the food, but it’s been well worth it. Heat oven to 425F. Mix together dry ingredients. Cube butter and work in with your hands, breaking the butter up into small pieces and mixing in with the dry ingredients, until the texture resembles cornmeal. Stir in the buttermilk. Transfer to a floured surface and press into a rectangle. Fold on itself and pat into a rectangle. 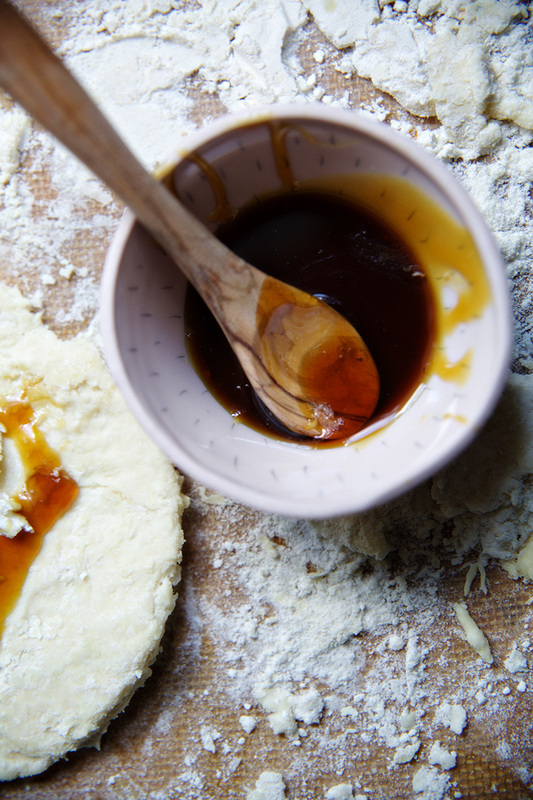 Repeat three or four times, finishing with a large rectangle of dough that is 1″ thick. 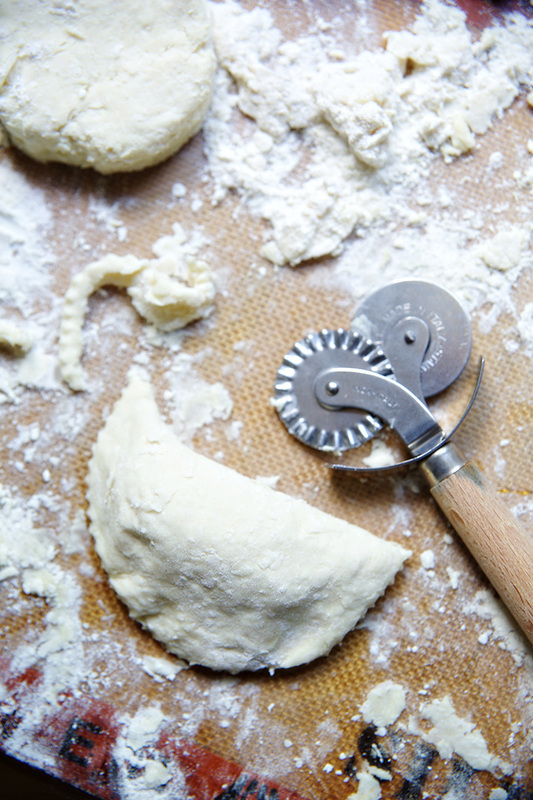 Use a round biscuit cutter to cut into 3″ rounds. Roll the round out further until they are about 1/4″ thick. 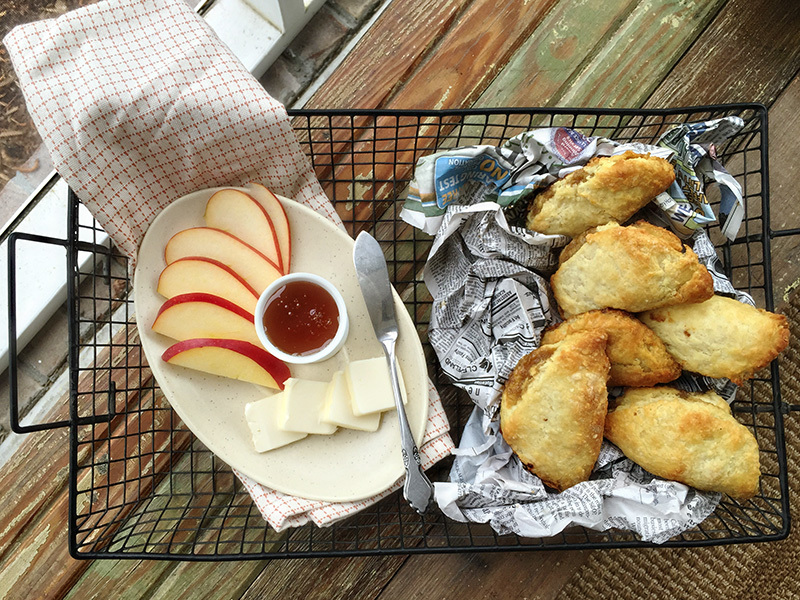 Fill each biscuit with a tablespoon of goat cheese and a drizzle of sorghum. Pinch the edges and place on a lined baking sheet. Brush the top of each biscuit with melted butter. Bake for 10-12 minutes or until golden brown. and baked through. 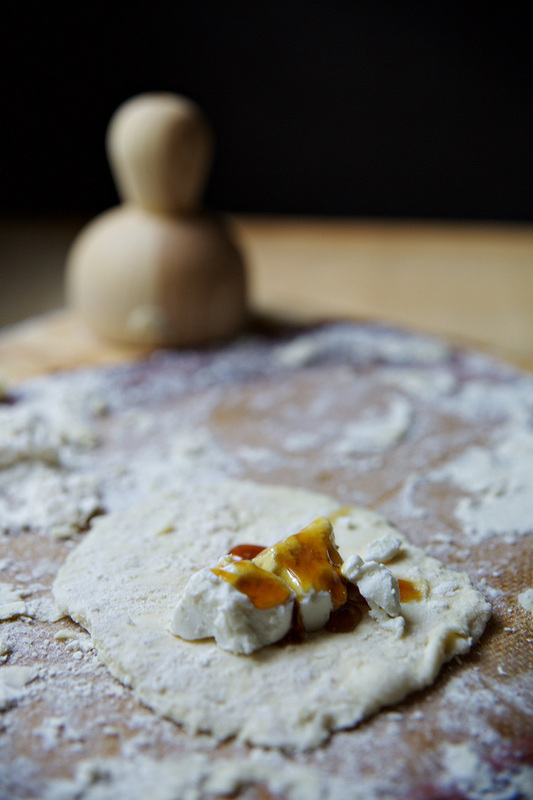 I like the sorghum and goat cheese hand biscuits recipe! :) Thank you for sharing it!